Darling hits drivers | What Car? Motorists are to be hit by large fuel price increases after Chancellor Alistair Darling announced a 2p-a-litre hike in duty. The increase in fuel duty will commence in September and could result in unleaded nearing 1 a litre by the end of the year. 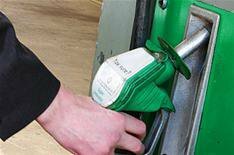 With prices currently at around 95p a litre, the price paid at the pumps will increase further still in January when the rate of VAT returns to 17.5%. There will also be annual increases of 1p a litre in April for the next four years. RAC motoring strategist Adrian Tink said: 'The announcement is another brutal blow for motorists who have already witnessed a decade of non-stop increases. It's time for the Government to stop treating motorists' pockets as a bottomless pit of money and recognise their right to drive at a fair, affordable price. 'We urge the Government to abandon its preoccupation with overtaxing motorists and instead focus on providing them with a safe, reliable, efficient road network that all concerned can be proud of.